Performance under pressure. 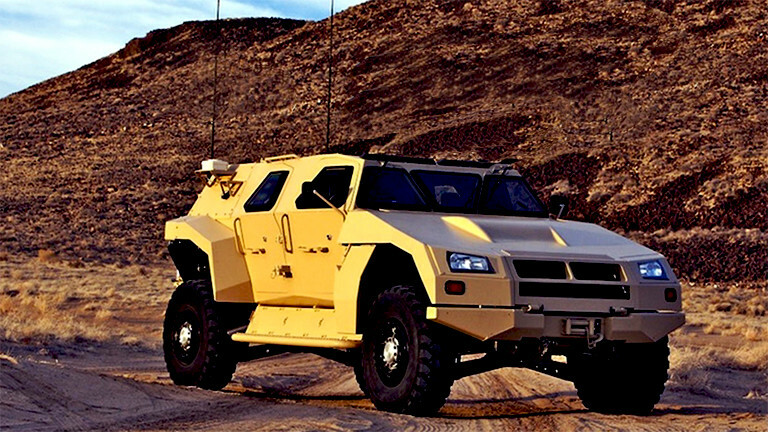 Performance Friction’s brake system technology provides unique solutions for modern tactical military wheeled vehicles. PFC has provided OEM pads for the HMMWV as well as engineered a disk brake system for numerous other armored vehicles. Military applications require high flexibility in friction material selection because of the wide range of performance requirements. PFC’s innovative use of materials, advanced process technology, and patented Zero Drag technology, delivers unrivalled braking performance with high reliability. For applications ranging from motorcycles and light reconnaissance vehicles to tactical vehicles such as the HMMWV, JLTV, M-ATV, and heavier, the best solution is Performance Friction. No other company has the ability to provide lightweight, high performance brake systems for these vehicles while maintaining OEM TS 16949 quality standards. All products are engineered and manufactured in the USA. Test-proven. Over 5,000 friction materials have been developed and tested at PFC USA. Carbon Metallic® brake pads have passed certification tests on applications ranging from 600,000+ pound haul trucks to motorcycles. PFC’s Carbon Metallic® pads dominate the entire brake industry on performance. PFC brake systems reduce weight, improve braking performance, and use Zero Drag technology to improve fuel economy compared to alternative products.